The actress, writer, designer and all around cool chick gathered her girl gang to model her new designs. 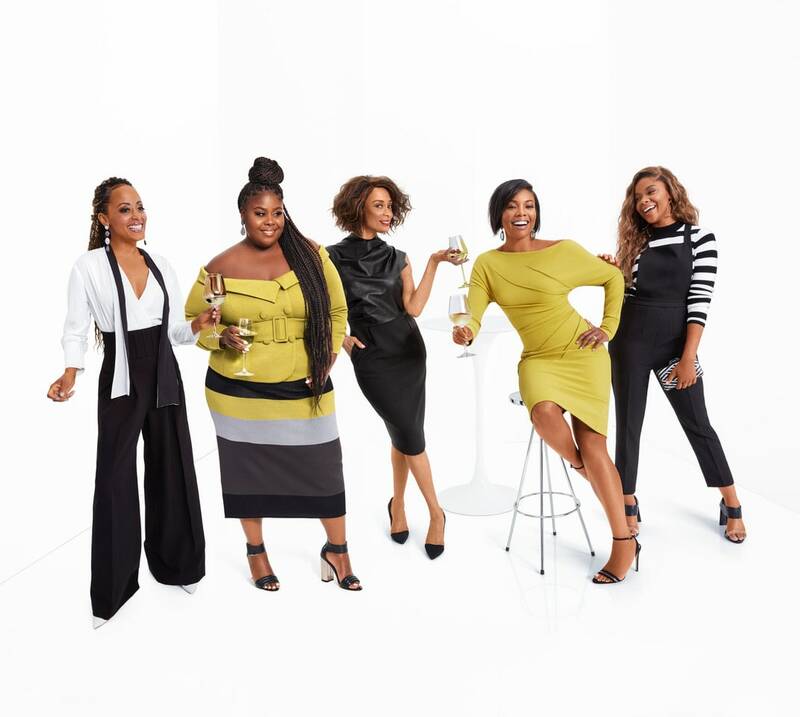 Essence Atkins, Ajiona Alexus, Raven Goodwin, Valarie Pettiford and Gabrielle Union rock Union's October NY & Co. collection. 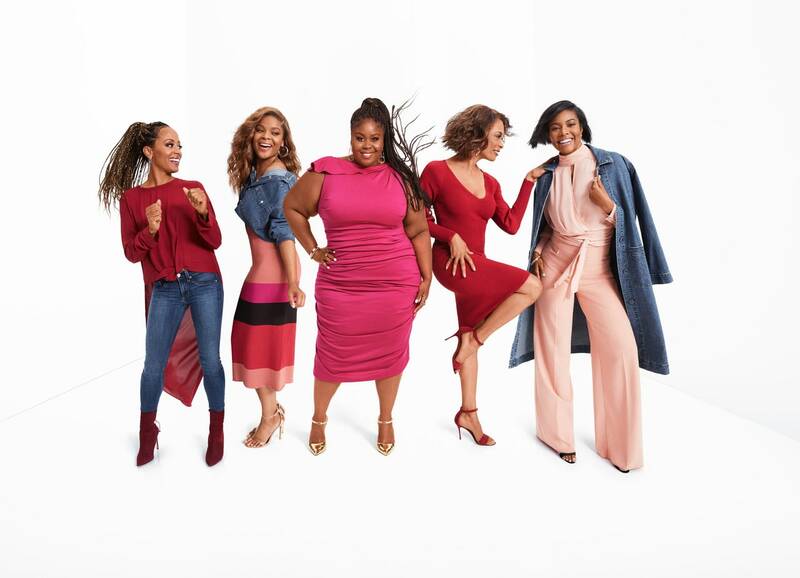 This is the year of the woman, and Gabrielle Union is making sure all the ladies are dressed to the nines. 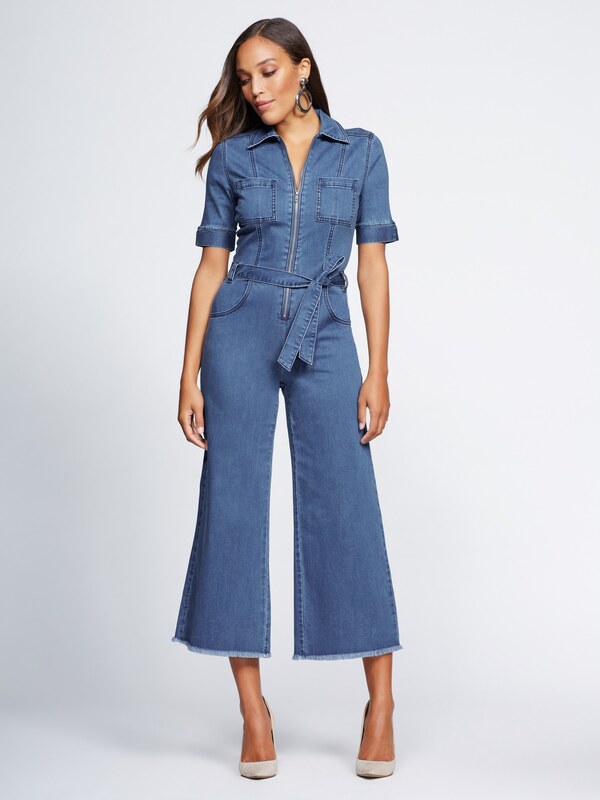 Her exclusive New York & Company October collection features a variety of killer looks, from denim jumpsuits and red bomber jackets to color block wrap blouses and á la mode pencil skirts. There’s a style and size (petite to plus) for everyone. If you’re looking for something more vibrant, Union suggests the one-shoulder sheath dress in the ‘Fuchsia Garden’ color. “You can wear it to the office, but also to cocktails and dinner after,” she says. Besides the dazzling and comfortable outfits, the NY & CO collection also offers an important #AllTogetherNow message. To Union, sisterhood and empowering other women is what’s important and to showcase that, she gathered her famous friends to model the line. Shop Union's entire collection at New York & Company.